A thriving, skyscraper-studded city on China’s central coast, Shanghai is the country’s largest urban center and a prominent financial hub. Lining its famous riverfront Bund are elegant Colonial-era structures. The sprawling Yu Gardens, predating them by another 300 years, feature traditional towers, pavilions and water bodies. Vibrant modern shopping, dining, entertainment and business districts intermingle with these heritage areas. Glittering storefronts at Nanjing Road, the art lined People’s Square, fascinating skyscrapers in Pudong, and quaint French buildings repurposed as boutiques and cafes, are just a few threads in the exquisite fabric of Shanghai. For a glamorous stay in this glamorous city, check out these 15 best 5-star hotels in Shanghai. The Peninsula Shanghai goes the distance to ensure a perfect 5-star stay in Shanghai. With a superb location on the Bund, in the premises of the former British Consulate, it places you minutes away from the Bund Riverfront, a metro station, and the Yu Gardens. This location also allows the hotel to offer grand views of the new Shanghai skyline across the river. As Peninsula’s flagship hotel in Mainland China, The Peninsula Shanghai was built with immense attention to detail, successfully showcasing the Art Deco grandeur of 1920s Shanghai, together with a fine range of intuitive modern creature comforts. Rooms here are thoughtfully designed and elegantly furnished with super-king sized beds, Art Deco details, and a host of convenient features ranging from nail dryers, to Nespresso machines, to fax/printer/scanners. Bathrooms have separate baths and showers, and open onto convenient dressing areas. Every room upgrade brings you additional perks such as exquisite city, river and garden views, and suites with separate dining areas, private terraces and walk-in closets. Intuitive iPad controls, free Wi-Fi, efficient and discreet housekeeping, and a fine collection of in-room treats add to the lure of the Peninsula Shanghai. Speaking of treats, the 5 restaurants and bars in the hotel take care of all your cravings. 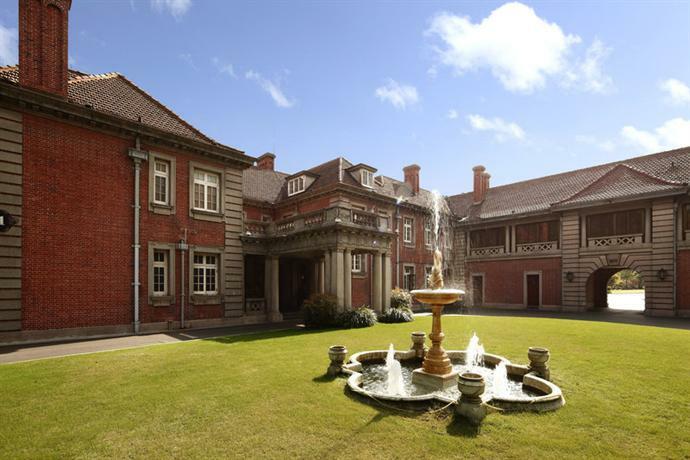 Other perks include a 1930s inspired spa, and a boutique shopping arcade on the riverfront. 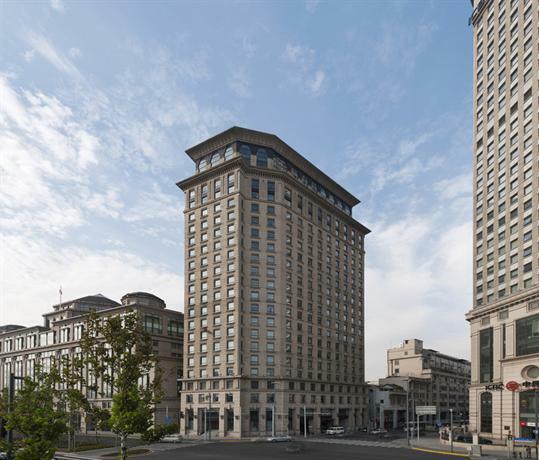 A luxury hotel that is inseparable from Shanghai’s history and architectural heritage, Waldorf Astoria Shanghai is located on the historic Bund, a line of Colonial buildings along the city’s riverfront. 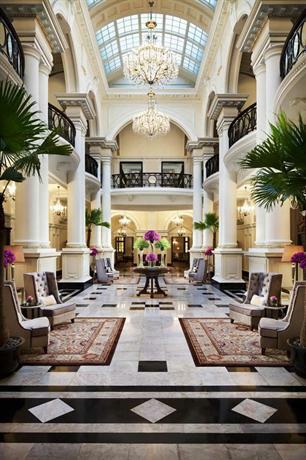 The hotel itself operates out of the premises of the former Shanghai Club, its 2 palatial buildings now restored and refitted with mod-cons and 5-star luxuries, while losing none of their Neo-Classical charisma. The coveted location of the hotel places it within walking distance from the famous Yu Gardens, as well as the metro station by the same name. Between its 2 buildings, Waldorf Astoria Shanghai offers 260 well-appointed rooms and suites, all elegantly furnished and detailed with a mix of classic and modern elements. They offer grand city and river views, and are equipped with flat screen TVs, minibars, tea and coffee machines, and free Wi-Fi. Suites, located on the upper floors, offer panoramic views, separate living and dining areas, antiques, and charming four poster beds. Some suites also have their own kitchens. Guests at Waldorf Astoria Shanghai enjoy free parking, Library Lounge access, and a breakfast buffet served in the hotel’s sophisticated Grand Brasserie. There are several other dining options available, offering French and Cantonese cuisines. Drinks at the famous Long Bar also make for a unique experience. A luxury spa with private treatment rooms, and a variety of indoor and outdoor spaces for meetings and weddings, are additional highlights of the hotel. 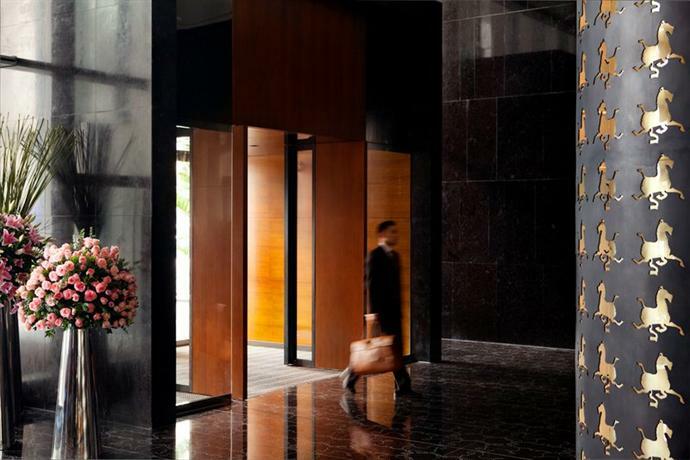 Conveniently located in Shanghai’s Pudong district, Four Seasons is set amid skyscrapers, and within walking distance from chic stores, bars and restaurants. A metro station can be found right across the road from the hotel, simplifying access to Shanghai’s many sights and delights. Four Seasons Pudong is beautifully tuned to millennial luxury preferences. Set in a sleek high-rise building, it responds to its surrounding context, while also managing to stand out with its unique brand of glamor and contemporary elegance. 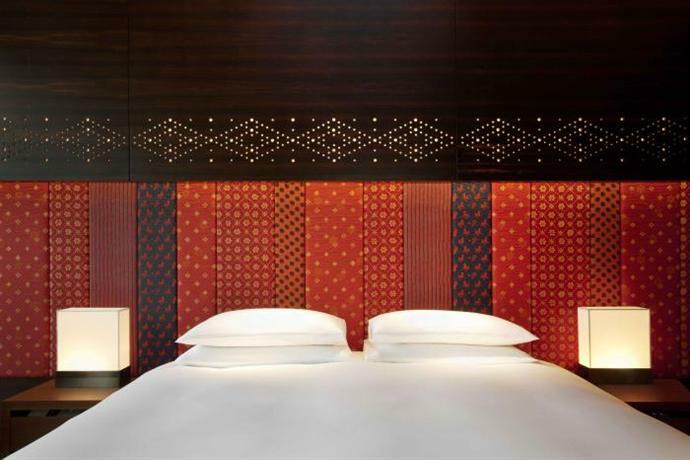 An excellent option for business travelers and holidaying families alike, the hotel has plush, well-lit interiors that showcase a rich mix of Chinese artwork, modern chandeliers and velvet upholstery. Its 187 sophisticated guest rooms and 15 spacious suites have floor-to-ceiling windows with grand views of the Shanghai cityscape. Fine materials and top-notch finishes characterize the rooms and suites, and their extra-large bathrooms add the ultimate edge of luxury. A special range of Club Rooms occupying floors 30 to 39 of the building, have a distinctive modern ambience and smart in-room technology, and join the suites in offering access to the coveted Executive Club Lounge. 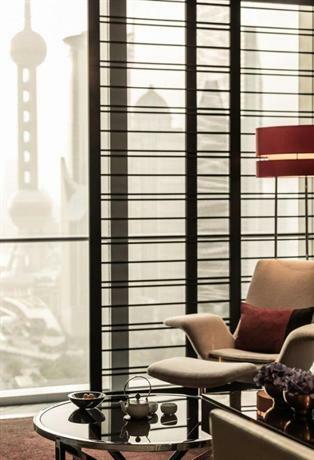 A number of other experiences await guests at Four Seasons Pudong Shanghai, including traditional Chinese therapies and massages at the Qin Spa, and a wealth of Chinese and French food at the in-house restaurants that also offer 24-hour room service. An upscale hotel in Shanghai’s skyscraper studded Pudong district, Mandarin Oriental takes your luxury Shanghai holiday to the next level. Set on the banks of the Huangpu River, the hotel is minutes away from the Oriental Pearl Tower, and has an efficient drop-off service to take you to the nearest metro station, from where Shanghai’s famous Bund and historic sites are just a stop away. 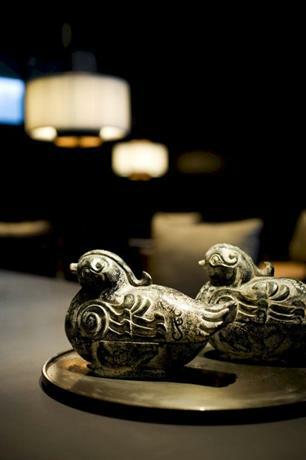 Interiors of the Mandarin Oriental Pudong are chic, modern, posh and upbeat. Walls of colored glass meet marble floors and quirky chandeliers, while a fine collection of Chinese artwork completes the atmosphere of exclusivity. In the hotel’s 362 rooms and suites, gorgeous gold, bronze and brown color palettes meet refreshing blues and greens. Plush furniture is complemented by intuitive bedside controls, and elegant marble bathrooms are stocked with stellar toiletries and amenities. The highlight of each room or suite is a fantastic view of the city, the river, or the northern Bund, beautifully framed by large picture windows. Some of the more spacious suites are designed as fully functional apartments, complete with terraces and kitchenettes. Guests at Mandarin Oriental Pudong can indulge in the exclusive ambience and luxury of the Club Lounge, pamper themselves at the hotel spa, work out at the sprawling gym and indoor swimming pool, and treat their taste buds to French, Asian and international cuisines at the hotel’s restaurants, tea lounge, cocktail bar and cake shop. An exclusive luxury getaway right in the heart of Shanghai’s bustling city center, the Puli Hotel and Spa packages comfort, convenience and glamor in one smooth move. 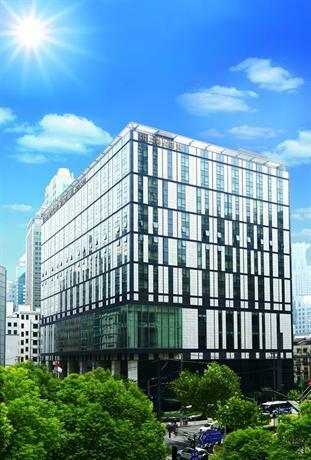 Located across the Jing An Temple and Jing An Park, the hotel is 2 minutes away from the nearest metro station, and very accessible by road from the airport and sightseeing destinations in Shanghai. Beautifully crafted landscaping and a bamboo screen act as the interface between the hotel and the urban hubbub right outside, creating the feel of a hideaway. Entering the building places you in the midst of a stylishly sculpted interior, featuring polished stone floors, minimal geometry, and beautifully showcased antiques. 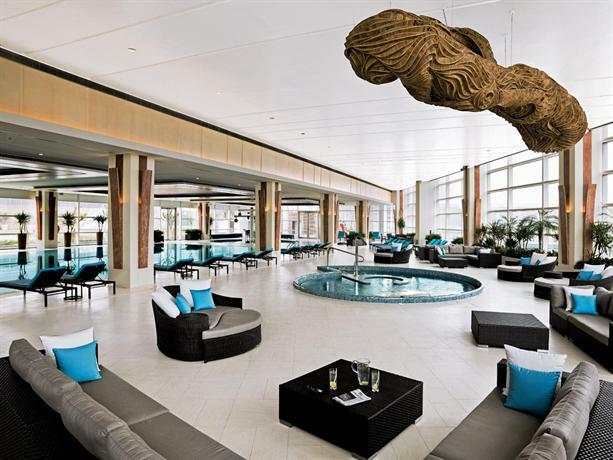 Branching out of this glamorous lobby are chic indoor and outdoor spaces that are often featured in photo shoots. The hotel’s 229 rooms and suites reflect the same stylish ambience, hints of Zen minimalism complementing luxurious furnishings and mod-cons. One can enjoy a relaxing soak in the large bathtubs in the rooms, while marveling at stunning city views offered by large windows. Other perks include free Wi-Fi and complementary minibar goodies. Top-notch facilities for guests at the Puli include access to its spa and wellness center, a Michelin star restaurant, a patio bar, and a fitness center with an indoor swimming pool. The Langham Xintiandi enjoys a unique setting in an old shikumen neighborhood that now functions as one of the most vibrant entertainment districts in Shanghai. As an ode to its bustling Xintiandi location, the Langham is housed in an offbeat high-rise building with interiors that exhibit a playful mix of classic elements, vivid color palettes, and contemporary Chinese art. The hotel’s 357 spacious rooms and suites offer glorious views of heritage shikumen buildings against the backdrop of Shanghai’s modern skyline. They are equipped with premium mod-cons and signature amenities, and are eligible for room service round the clock. The in-house Chuan spa is a major attraction, as is Tang Court, a 3 Michelin star Cantonese restaurant. The vibrant restaurants and cafes in the Langham have a street frontage and are frequented by locals. 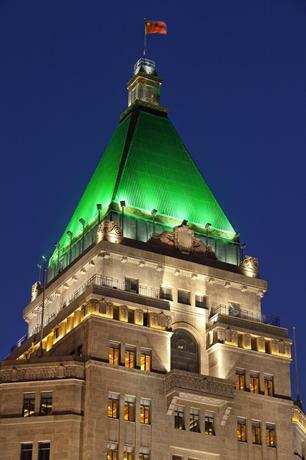 A glamorous 5-star hotel housed in an elegant Art Deco building on the Bund, Fairmont Peace is a few minutes’ walk from the Bund Promenade, as well as from the Nanjing East Road metro station. Its fantastic location near Shanghai’s riverfront splendor and shopping destinations, is backed by its promise of a luxury stay. The hotel’s 270 rooms and suites sport distinctive interiors with equal measures of Art Deco elegance and contemporary comforts. An exclusive executive floor offers private check-ins, continental breakfasts, afternoon canapes and lounge access. The beautifully restored Peach Hall within the hotel is a popular wedding and conference venue. The Dragon Phoenix restaurant and the Jazz Bar also serve as brilliant examples of Art Deco opulence. For a touch of modern sophistication, guests can spend time at the Cathay Room and Terrace, the exclusive Jasmine Lounge, or the chic Victor’s Café. Kerry Hotel operates out of a stylish modern high-rise building right by the Century Park in Shanghai’s thriving Pudong district. A metro station is minutes away, as is the Maglev train offering direct airport access. This hotel is a hotspot for business travelers, on account of its sprawling, technologically optimized conference rooms and banquet halls. These are supported by suave, comfortable rooms with free Wi-Fi, minibars, tea and coffee makers and flat screen TVs. Premium rooms and suites come with Jacuzzis and kitchenettes, along with private lounge access. Guests can work out at the sprawling fitness center, and unwind at the hotel spa. Whiling some time at Kerry Hotel is never an issue, thanks to a restaurant, a steakhouse, and a microbrewery serving craft beers. A swanky hotel in the heart of Shanghai’s most prominent entertainment and shopping district, Andaz Xintiandi is well positioned to guarantee you a lavish and comfortable Shanghai holiday. A mere 2km from the historic Yu Garden, this boutique hotel offers stylish and spacious rooms and suites, many of them interconnected to serve large groups of guests. The interiors of the rooms are vibrant and sophisticated all at once, thanks to rich wooden flooring, colorful accents, free Wi-Fi and iPad based controls. Premium rooms and suites have city views, loft beds, and private hot tubs. Restaurants at the hotel serve Asian and Western cuisines; guests also have the option of heading to any of the other popular restaurants in the vicinity. Housed in the iconic Jin Mao tower in Pudong, the upscale Grand Hyatt presides over Shanghai’s skyline. This landmark hotel is minutes away from the Bund and the Yu Gardens, and well-connected to the international airports. The 548 rooms and suites here offer some of the most breathtaking views of Shanghai, and are attached to elegant marble bathrooms. Suites have their own lounges; premium variants also eligible for butler service, complimentary breakfast, and cocktails in the evenings. There are as many as 10 restaurants and bars in the Grand Hyatt Shanghai, along with 2 ballrooms and 11 other multipurpose spaces ideal for large events and gatherings. 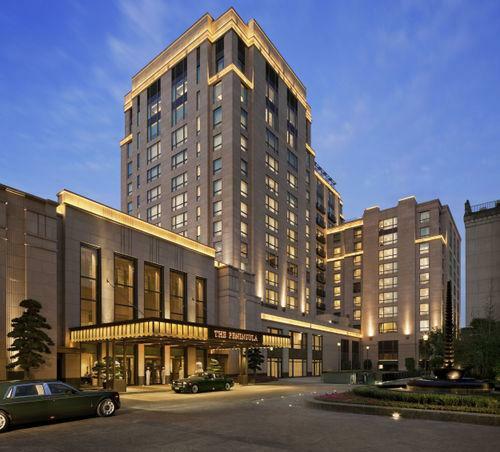 InterContinental Shanghai Rujin enjoys the dual status of a landmark heritage building and a luxe hotel. Housed in the former State Guest House of Shanghai, it has served as the headquarters of the Communist Party during the War of Liberation. Today, it enjoys a quiet location on Ruijin Er Road, with popular shopping and dining destinations just around the corner. Its spacious, classically styled and well-appointed rooms and suites have generous work spaces, high speed internet, TVs with international channels, and Bose speakers. Bathrooms have separate baths and showers. 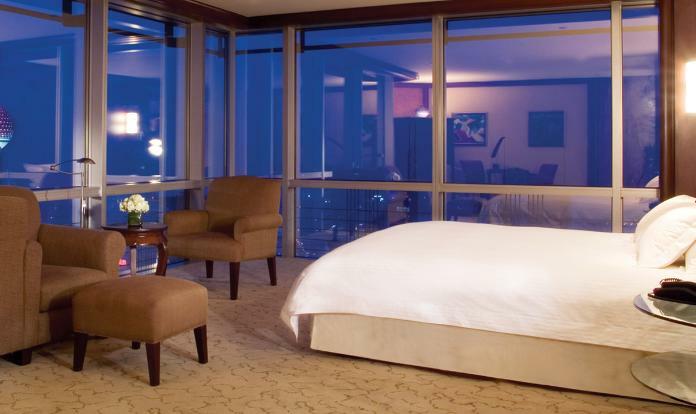 Executive rooms and suites provide Club Lounge Access as well as garden or city views. Dining options include La Rue’s unique menu crafted with fresh produce, the delightful XinYuanLou restaurant, and the laid-back Lobby Lounge. An upscale modern hotel in the heart of downtown Shanghai, Marriot Hotel City Centre is preferred by vacationers and business travelers alike. Located close to the famous Bund, as well as the shopping destinations on Nanjing Road, this luxury hotel has a variety of rooms and suites, all impeccably furnished and offering city views. Guests at club rooms and suites have private lounge access and river views. 3 restaurants, a deli and a lounge offer plenty of dining options, while a spa, sauna and fitness center round up the hotel’s amenities. 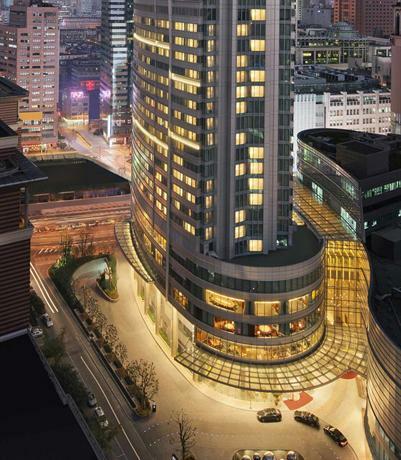 The well-located Grand Central Hotel is minutes away from some of Shanghai’s most prominent sights. These include the historic Yu Gardens, the Bund, shopping destinations at Nanjing Road, the Oriental Pearl Tower, People’s Square, Art Museum and Grand Theater. Housed in its sophisticated modern 19-storey building are 353 guest rooms and suites with free Wi-Fi, satellite TV, coffeemakers, writing desks, and signature bedding and toiletries. Some suites have their own Jacuzzis and private gardens. Besides availing of 24-hour room service, guests can dine at the hotel’s French and Cantonese restaurants, lobby bar or café. Other facilities include a games room with billiards, an indoor pool, gym, spa and sauna, and even a beauty salon. 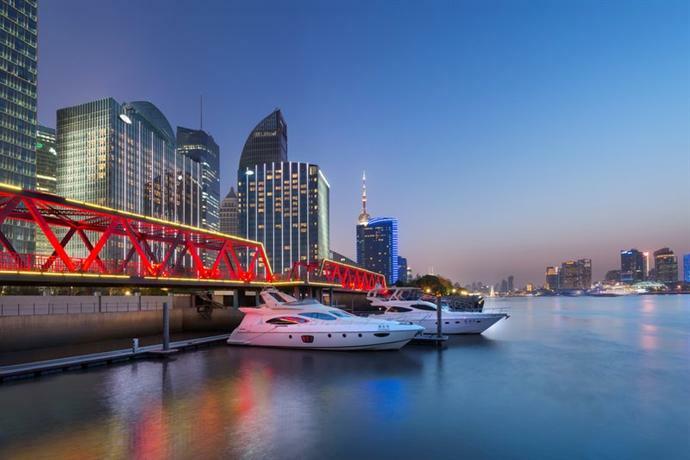 A beautiful boutique hotel located right on the Bund, Les Suites Orient is well-connected to public transport and offers amazing views of the river, the Shanghai skyline, and the 16th century Yu Gardens. Its rooms and suites flaunt chic, contemporary interiors, along with rich wooden furniture, free Wi-Fi, flat screen TVs, iPod docks and coffeemakers. Suites feature a fine range of modern artwork. Breakfast is on the house, and delicious Asian and western food is served at the hotel’s café. Other facilities include a lounge, and a gym with a meditation area. WH Ming Hotel offers an unbeatable location, with equal measures of urban glamor and natural tranquility. 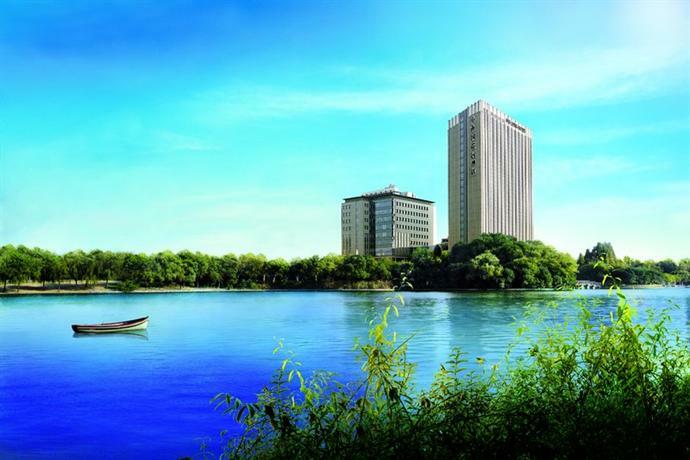 Facing the Huangxing Park and the East Zouma Pond, this elegant hotel has 166 guest rooms and suites with panoramic park views and premium mod-cons. Between its 4 restaurants, guests can sample a wide range of exquisite Asian and international fare. A spa, fitness center, multiple meeting venues and a gorgeous wedding chapel further add the allure of the WH Ming Hotel, regardless of the purpose of your stay.